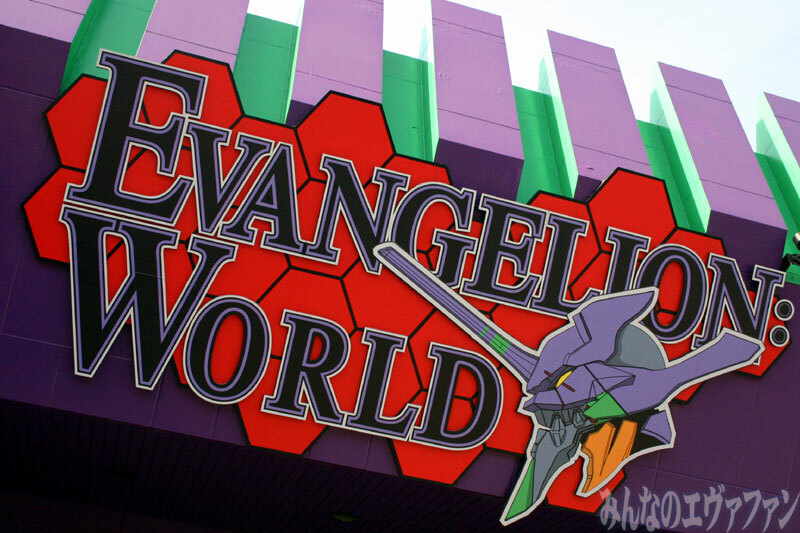 The Fuji-Q Highland Amusement Park in Fujiyoshida has had an Evangelion themed attraction called Evangelion: WORLD. It features a life-sized bust of Evangelion Unit-01 and Evangelion Unit-02 (in BEAST mode), an Evangelion themed hotel room at the nearby hotel, life-sized statues of the cast, scenes from the new movies, and (of course) a gift shop. The newest attraction is the Evangelion Unit-02 bust (though it’s actually more just the head). And Min Nano Evafan visited “Evangelion: WORLD” and posted a ton of pictures, and a short youtube video of Nerv’s hallways. There seemed to be a lot of mock-ups of scenes from Evangelion: 2.0 with cardboard cut-outs of the characters, including the Rei and Asuka in the elevator and Kaji buying Shinji a drink (but without Shinji, and he buys UCC Coffee). Although Gendo’s office looks a bit cheap, especially the desk, the bust of Eva-02 looks pretty awesome. Min Nano Evafan pictures of Evangelion: WORLD. The hallways of Nerv, Eva-01. “Eva Museum”, the peep holes are kind of interesting, plus a series of pictures showing the activation of Eva-01 using the Dummy Plug with info from the monitors. Mari, an Eva-01 statue, plus a titanium Lance of Longinus, took 6 months to make that lance. Evangelion: ROOM, lots of pictures. Asuka/Rei drink bottles in the mini-fridge, nice bathroom, Nerv shower curtains.